in their natural language and share them abroad. 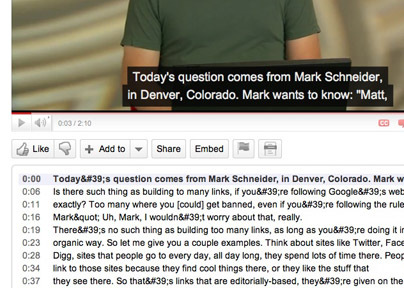 YouTube offers you a tool to add subtitle and transcripts to your videos. 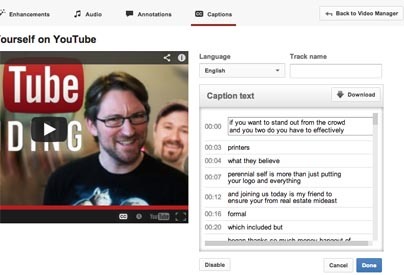 We can help you translate and subtitle your YouTube videos to make the whole process smooth, quick and professional. In YouTube as well as in Vimeo it's easy to add new languages to your videos as your company keeps growing. YouTube is the most popular video platform. Subtitles can help expand the reach and engagement of your videos, so anybody can understand and enjoy them. YouTube offers automatic subtitles to its users. It's a great option for entertainment videos. Our customers don't want just that. The companies we serve get great value when their audiences reach to their videos, enjoy them, connect with our customer to purchase products or services or establish a strong connection to further nurture along time and value. Automatic YouTube translations are improving year over year. Nowadays, however, they are still far away to helping you make that connection to your prospects or customers. Our translating services are made by experts no machine can replace. They are experts in localization, many are native speakers in different languages, and most have years of professional expertise on translation services. They currently work in fields like movie dubbing and subtitling or language training. This is the high-standard level of expertise you get at your disposal for your subtitles. YouTube also lets you add a transcript for your video. 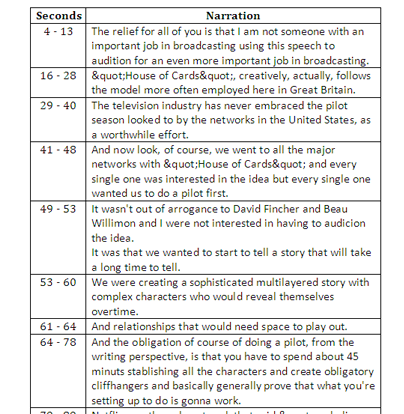 Transcripts are helpful for many reasons, both for you and your video viewers. See benefits page for more details on how video transcripts can improve your video results. If you already have your video script, send it to us. Good news is it all gets easier and faster. If you don't have a transcript yet, we can make a transcript for you and add it to your YouTube video. YouTube offers automatic transcriptions as well. Obviously not perfect, though you can edit them manually. It may be a bit time-consuming, but for some companies it may be of value. You can also request us to do a transcript for your YouTube videos. Let us know in the textarea box any specific requirements to improve even more your YouTube search results.